Guangzhou Hi-Ltte Electronics Technology Co.,Ltd. Beam 5R Moving Head Light is a 189W moving beam light with an unprecedented brightness usually achievable only with far greater wattages. Beam 5R is also groundbreaking for the purity of its beam, which is sharply defined and free of any halo. 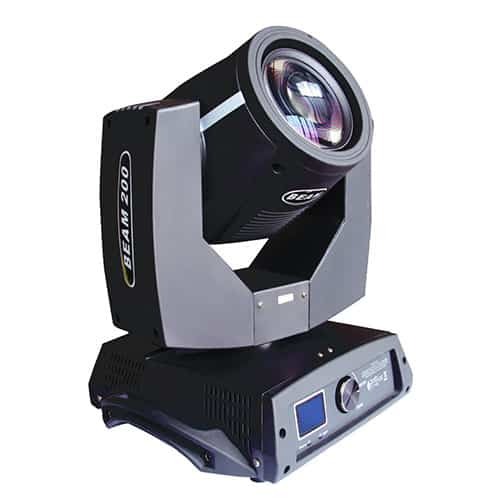 With its light weight and modest footprint, Beam 5R is small enough to be fitted anywhere – on trusses at live and TV events, on stage, in showrooms or conference rooms. Length: 320mm; Width: 240mm; Height: 493mm.